Justice Bridget Mary McCormack joined the Michigan Supreme Court in January 2013. Before her election to the Court in November 2012, she was a law professor and dean at the University of Michigan Law School. Since joining the Court, Justice McCormack continues to teach at the Law School. Justice McCormack is a graduate of the New York University Law School, where she was a Root-Tilden scholar and won the Anne Petluck Poses Prize in Clinical Advocacy. 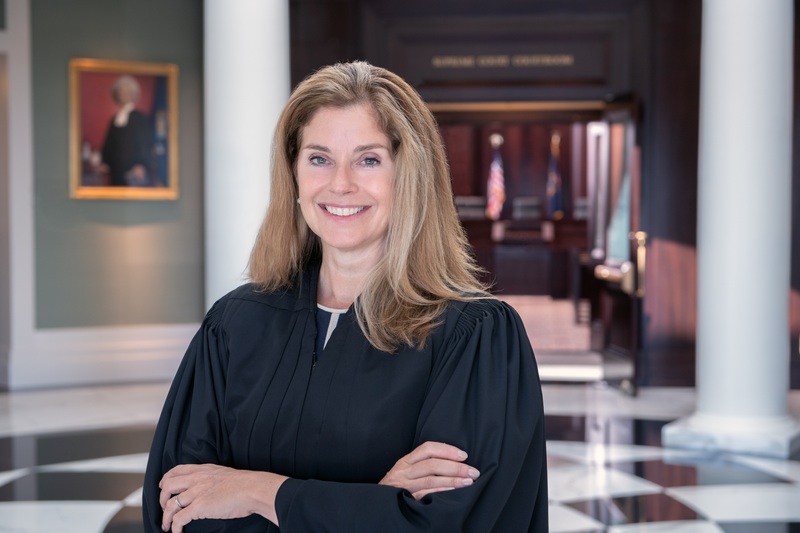 She spent the first five years of her legal career in New York, first with the Legal Aid Society and then at the Office of the Appellate Defender, representing over 1,000 clients in New York’s trial and appellate courts. In 1996, she became a faculty fellow at the Yale Law School. In 2008, then-Associate Dean McCormack cofounded the Michigan Innocence Clinic, in which students represent wrongfully convicted Michiganders. The clinic has exonerated over 15 people so far, and has shined a light on the important justice issues underlying wrongful conviction. 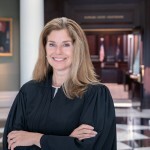 In 2010, McCormack won the “Justice for All” Award for the Clinic’s work, and in 2011 the Washtenaw County Bar Association gave her the “Patriot Award.” In 2012, she won the Cooley Law School’s “Distinguished Brief Award” for the best brief filed in the Michigan Supreme Court during the term. Also in 2012, the Justice Caucus presented her with the Millie Jeffrey Award and the Washtenaw County Women Lawyers recognized her with the Mary Foster Award. In 2013, Justice McCormack was honored with the Hon. Kaye Tertzag Purple Sport Coat Award. The American-Arab Anti-Discrimination Committee recognized her with its Guardian of Justice Award in 2014. She accepted the Impact Award from the Washtenaw County Dispute Resolution Center in 2017. In 2018, the Michigan Association for Justice honored Justice McCormack with its Judicial Excellence Award. Justice McCormack previously chaired the Supreme Court’s Limited English Proficiency Implementation Advisory Committee, and participates with a number of professional organizations including the American Bar Association Access to Justice committee, the American Bar Association Litigation Journal’s Board of Editors (and serving as an Associate Editor for Litigation Magazine), the American Bar Association Working Group on Pro Bono and Public Service, the National Conference of Bar Examiners Torts Drafting Committee, the advisory board of the National Consortium on Racial and Ethnic Fairness in the Courts, the judicial elections committee of the National Association of Women Judges, the advisory board of the Michigan Civil Rights Academy, and serves as a board member of the National Board of Legal Specialty Certification. In 2013, Justice McCormack was elected to The American Law Institute, the leading independent organization in the United States producing scholarly work to clarify, modernize, and improve the law. In 2014, Justice McCormack was appointed by the U.S. Department of Justice and the U.S. Department of Commerce’s National Institute of Standards and Technology to a newly-created National Commission on Forensic Science. The Commission’s charge was to work to improve the practice of forensic science by developing guidance concerning the intersections between forensic science and the criminal justice system and work to develop policy recommendations for the U.S. Attorney General, including uniform codes for professional responsibility and requirements for formal training and certification. Justice McCormack is married to Steven Croley, currently a partner at Latham and Watkins, and who continues to teach at the University of Michigan Law School. They have four children attending college and enjoy frequent family trips to west Michigan.